We proudly offer an Expert Air Conditioning System Evaluation and Consultation, and a Detailed Written Proposal Specific To YOUR Needs – FREE, as part of our initial assessment. 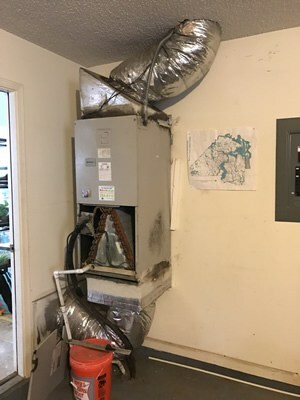 Several industry studies reveal that well over 60% of new central air conditioning systems are not installed properly, and over 90% of new system installation mistakes result in sub-par energy performance. So it is important to trust the highly trained professionals at Air McCall to properly assess your air conditioning system requirements. We will never use “high pressure” tactics to try to sell you an air conditioning system. 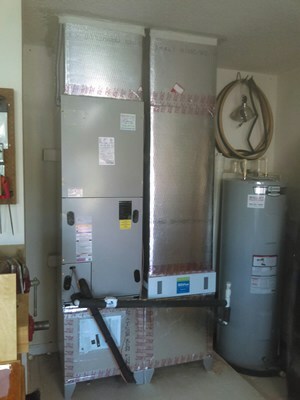 We will be a true “partner” by helping assess the heating system that is best for you. We promise that you will be impressed with our professionalism, expertise, and how we show that we truly care about you and doing what is best for YOU, not us. 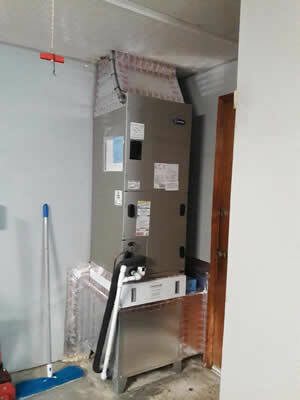 An AC installation you can count on! When you’re looking for the highest quality cooling systems and expert installation, look no further than Air McCall. 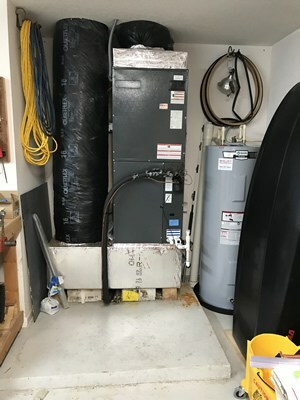 As a Carrier Factory Authorized Dealer and three-time President’s Award Winner, our team upholds a reputation of excellence in every service we provide and product we install. Our technicians are NATE-certified, background-checked, drug screened, bonded, and fully insured. We are a local, family-owned business who prides ourselves in doing what is right for our customers. 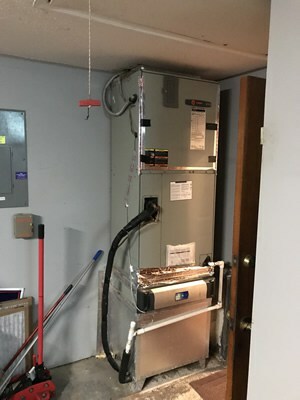 Careful, accurate, and knowledgeable workmanship combined with the leading manufacturer of HVAC systems guarantees lasting and satisfying cooling year after year. 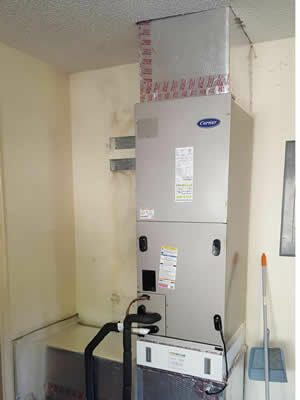 For the sake of comfort and efficiency, proper sizing of the air conditioning system is extremely important. The term “size” refers to the unit’s ability to produce cooled air. Generally, the larger the capacity, the more expensive the equipment, but bigger is not always an advantage. 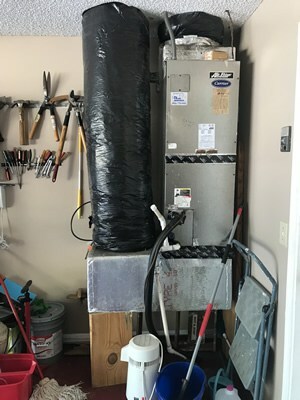 An oversized system will cycle on and off too frequently, never reaching ideal efficiency or dehumidification levels. The constant cycling also puts added stress on components and may lead to more frequent repairs and shortened service life. Too small of a system will fail to keep up with load requirements on especially hot days. You can count on the experts from Air McCall to properly design your new system for maximum efficiency, durability, and performance. Airflow into and out of rooms must be properly balanced to promote efficient operation. How well the house is insulated, climate, size of the home, windows, doors, unconditioned spaces, hot/cold spots, shade, and how the house is used by your family, must all be factored in when designing the perfect system. Our factory trained technicians will work with you, discuss your concerns and expectations, and make informed recommendations. 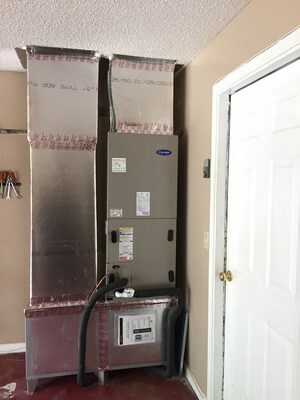 Once your system is installed, we will make sure you are familiar and comfortable with operating it to ensure lasting satisfaction. 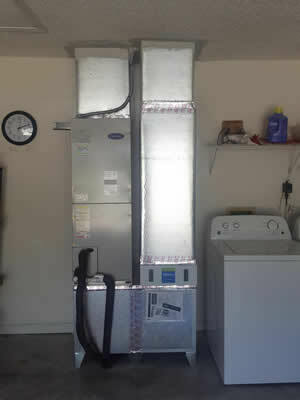 Air McCall is the right contractor to design and install a new indoor cooling system. 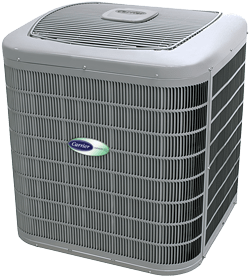 We recognize that investing in an air conditioning unit is a very important decision with a long term impact on your energy bills, comfort, and indoor air quality. Trust our level of dedication to match your expectations for a rewarding experience. We want to ensure we do an outstanding job for our customers. 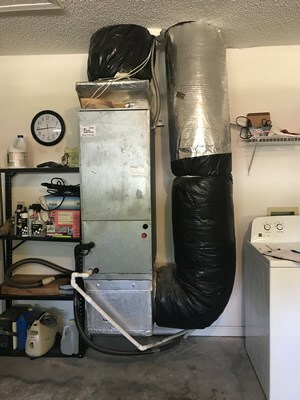 We offer a free A/C tune-up after the installation of all new systems if you review us on Google to let us know how we did. To make the process as quick and simple as possible, we provide Wells Fargo, GE and Synchrony financing. 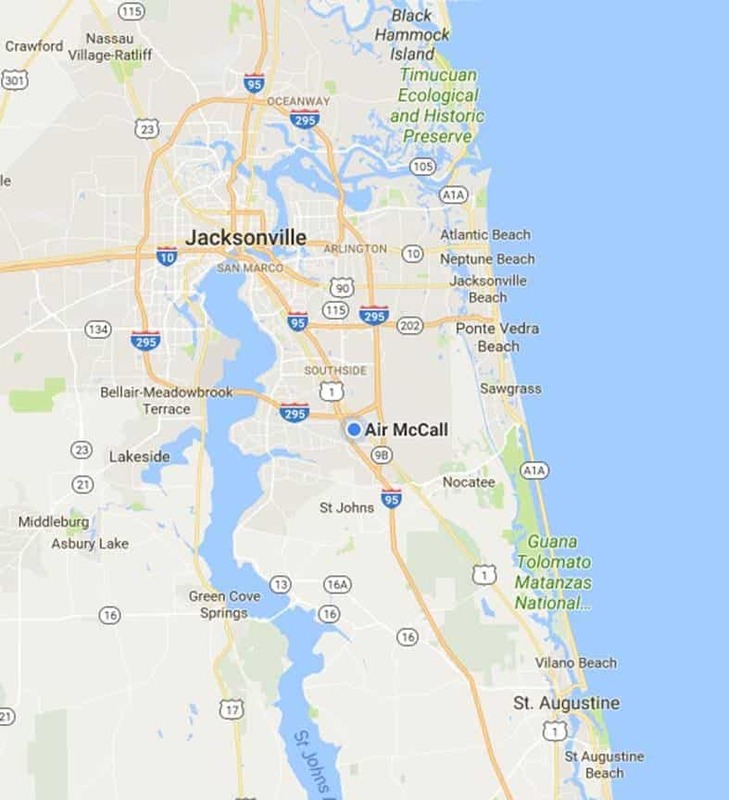 Call us today for professional and quality air conditioning installations across Jacksonville.